Dr. Tara Liberman’s speciality is Geriatric and Palliative Medicine. 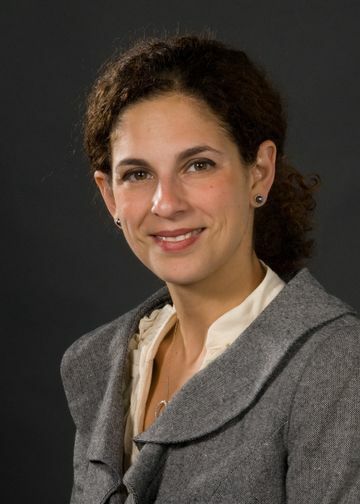 She is an Assistant Professor of Medicine at the Zucker School of Medicine and currently serves as the Associate Chief of the Division of Geriatric and Palliative Medicine overseeing both inpatient and outpatient clinical services. Dr. Liberman’s affiliation with Northwell Health dates back to when she was a medical student and rotated at North Shore University Hospital. She then completed an Internal Medicine residency, followed by a Geriatric Medicine fellowship with the health system. Dr. Liberman’s work is dedicated to caring and promoting academic efforts within an aging and vulerable population. Dr. Liberman’s research interests revolve around goals of care in the advanced illness population. She has crossed non-conventional barriers including emergency medicine and pulmonary critical care, specifically cystic fibrosis. Dr. Liberman’s current endeavors include hospice evaluation in emergency medical rooms and transitions of care, as well as the integration of a geriatric trained social worker into the emergency room setting to improve available resources for the treatment of older adults. Dr. Liberman is also looking into the role of Palliative Care Medicine in both Oncology and Heart Failure initiatives. She is continually attempting to broaden exposure to Palliative Care Medicine throughout the wide continuum of modern medicine. Ouchi K, Wu M, Medairos R, Grudzen CR, Balsells H, Marcus D, Whitson M, Ahmad D, Duprey K, Mancherje N, Bloch H, Jaffrey F, Liberman T. “Initiating palliative care consults for advanced dementia patients in the emergency department.” J Palliat Med. 2014 Mar;17(3):346-50. doi: 10.1089/jpm.2013.0285. Epub 2014 Jan 4. Corrado-McKeon L, Saad M, Mir T, Liberman T, Cleary T, Lu C. “Treating persistent pain in the elderly: how do we proceed?” Consult Pharm. 2013 Aug;28(8):509-14. doi: 10.4140/TCP.n.2013.509. Zaide GB, Pekmezaris R, Nouryan CN, Mir TP, Sison CP, Liberman T, Lesser ML, Cooper LB, Wolf-Klein GP. “Ethnicity, race, and advance directives in an inpatient palliative care consultation service.” Palliat Support Care. 2013 Feb;11(1):5-11. doi: 10.1017/S1478951512000417. Epub 2012 Jul 6. Pekmezaris R, Cooper L, Efferen L, Mastrangelo A, Silver A, Eichorn A, Walia R, Mir T, Liberman T, Weiner J, Steinberg H. “Transforming the mortality review conference to assess palliative care in the acute care setting: a feasibility study.” Palliat Support Care. 2010 Dec;8(4):421-6. doi: 10.1017/S1478951510000283. Epub 2010 Sep 28.